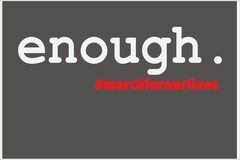 Join us for a poster making event for the March 24th March for Our Lives event. We will supply all the materials, donations gladly accepted. Please RSVP to fh@halperinandchrist.com so we can get an accurate count on poster material.